This account comes from the decision in Gamblin v. Norway House Cree, a 2000 court case that saw Gamblin and Monias’ banishment ruled illegal because the punishment was carried out under the authority of a BCR—and not through a bylaw, which would have required the approval of the then-Minister of Indian Affairs. 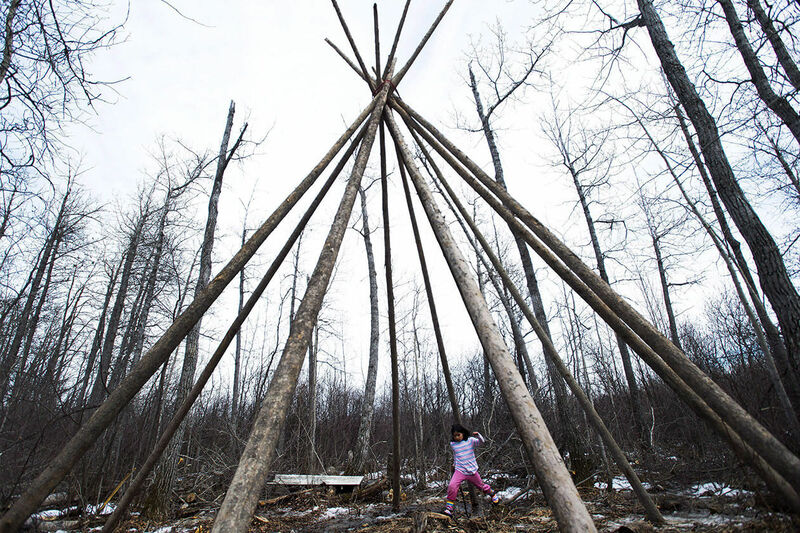 In spite of that judgement, the practice has continued to gain ground among First Nations governments. Just this year banishment has been proposed or introduced on Saskatchewan’s Sandy Bay First Nation, Quebec’s Obedjiwan First Nation, and New Brunswick’s Tobique First Nation. These governments join dozens of other First Nations that have recently introduced or proposed banishment as an additional punishment for drug trafficking, violent crime, pedophilia, and gang activity. Some, such as the Ahousaht First Nation, have threatened banishment for activities that aren’t even crimes, such as refusing treatment for drug or alcohol abuse. Banishment has deep roots in many First Nation societies as a way of addressing intractable social problems. It was the ultimate punishment in pre-contact justice systems that valued the well-being of the community over that of the individual, and it was one of the first forms of Indigenous justice resurrected once First Nations began to regain their autonomy in the ’70s and ’80s. Before becoming Justice Minister, Liberal MP Jody Wilson-Raybould served as Regional Chief of the Assembly of First Nations in BC. In that role, she co-authored, with her husband, a manual for BC First Nations governance which described the “ultimate sanction” of banishment as useful form of alternative justice in Indigenous societies without prisons. Banishment can last a few months, a few years, or it can have an indefinite term, with the punishment only lifted “once the person gets help for a drug addiction.” On some reserves, such as the Muskoday First Nation in Saskatchewan, banishment can be permanent. On reserves where housing is in scant supply, a house of a banished person can be re-assigned to someone else, with the banished going to the back of the line for a new home, sometimes waiting for years. In most cases, banishment effectively means loss of connection to the reserve. For a rooted people like First Nations, this is devastating. The reserve is not only home to family, but also may be the only place in the world where the banished can practice their religion. Garlow goes on to draw a connection between addiction and the high rates of PTSD among residential school survivors. Those being banished, in other words, are among the most at-risk people of the most at-risk group in this country. Indigenous drug addicts make up a vastly disproportionate number of Canada’s prisoners, murder victims, overdose victims, and missing women. The controversy over Bill C-24 shows us the type of debate we should be having in First Nations communities over banishment. One reason that debate is nonexistent is a basic misunderstanding of First Nations citizenship, a confusion that some Indigenous leaders also seem to share. Bill C-31 didn’t just return control over membership to First Nations governments. It also restored the status of tens of thousands of First Nations women who had lost it due to sexist clauses in the original Indian Act. Before 1985, if a First Nations woman married a person who was not registered under the Indian Act, they would lose their Indian Status. The effect of this was, again, banishment. The world outside the reserve has proven itself to be a very dangerous place for First Nations people. From the child welfare system, to prison, to the sexist rules of the Indian Act, to the actual predators many First Nations people believe are behind the MMIW crisis—there are no limit to the ways in which First Nations people are being victimized. By treating banishment as a legitimate punishment, First Nations governments join those victimizers. Regardless of who is using it, banishment has been a tool of assimilation, and those who use that tool are continuing the legacy of cultural dispossession and predation of at-risk Indigenous people that created the very group of lost souls they’re seeking to punish. As Jonathan Growal noted in the Two Row Times, the drug and alcohol problems we see on some reserves flows directly from the intergenerational trauma caused by the forces of assimilation off reserve. First Nations governments have a responsibility to govern for all of our people, not just the good ones. For other Canadians, no matter how many mistakes they may make, no matter how far they may fall in their lives, they will always have a home. But can the same be said of a First Nations person on a reserve where banishment is the law of the land? It’s true that the right to banish people flows from First Nations sovereignty. But banishment as an expression of sovereignty is a paradox. First Nations sovereignty requires First Nations citizenship in order to exist. And as we have seen in Canada, citizenship can’t be conditional. If citizenship isn’t inviolable for everyone, it’s cheapened for everyone. A cheap, second-class citizenship creates divided loyalties among First Nations people. Should they give primary allegiance to a First Nation which effectively has them on a form of lifetime parole, or should they give that allegiance to Canada, a country that won’t deport them should they fall on hard times? Chiefs who lean on banishment as a panacea are trapped in the Indian Act mentality that reduced our sense of belonging to that of being “members” instead of “citizens.” These chiefs are doing the work of the old administrators of the Indian Act—they’re victimizing the weakest of us, furthering the cause of assimilation, and undermining the sovereignty we have all fought so long for.